Hello November! We are well into Autumn, but the temperatures here in North Texas are still pretty warm. 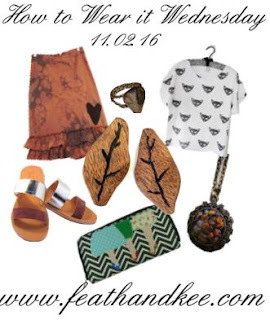 So here is an outfit for these last warm days of Fall. 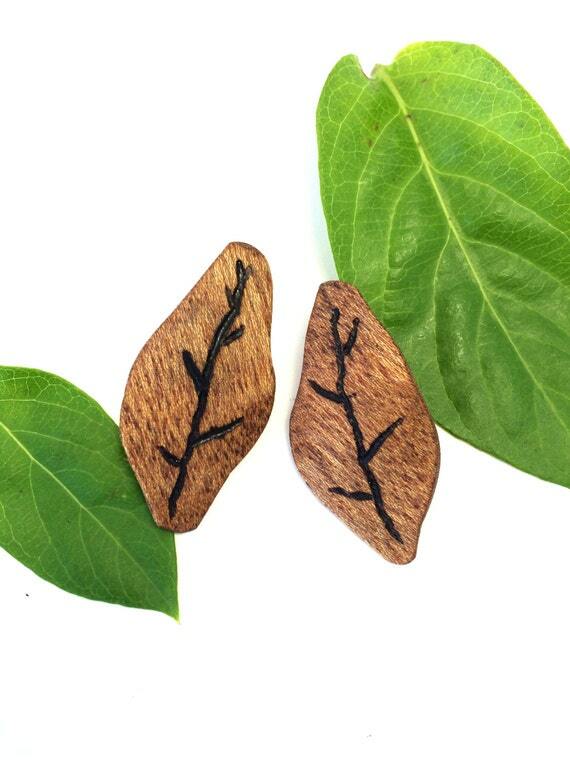 The wood for these leaf earrings from our shop came out of a local church that was being remodeled. I burned the vein detailing by hand and finished them with linseed oil. 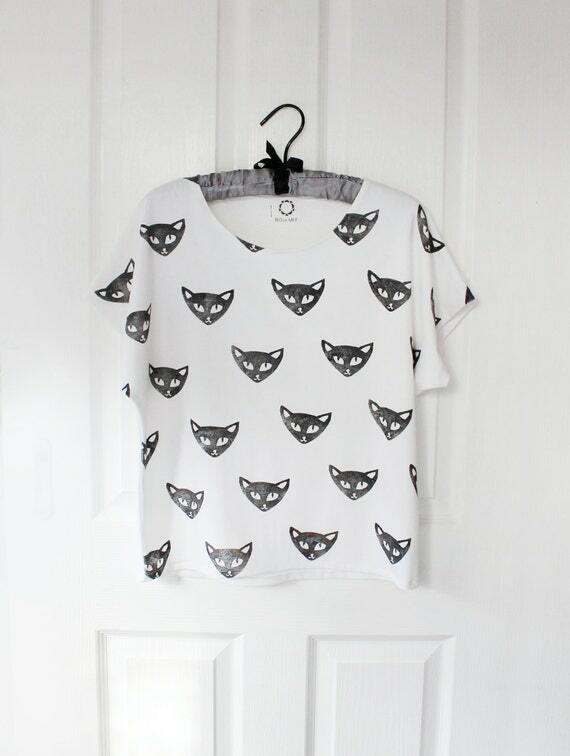 Mischievous kitty faces were printed on this top from RoEn Art. Each shirt is made to order using a jersey blend fabric, then printed using hand carved blocks. At this time, they do have a size small ready to ship. 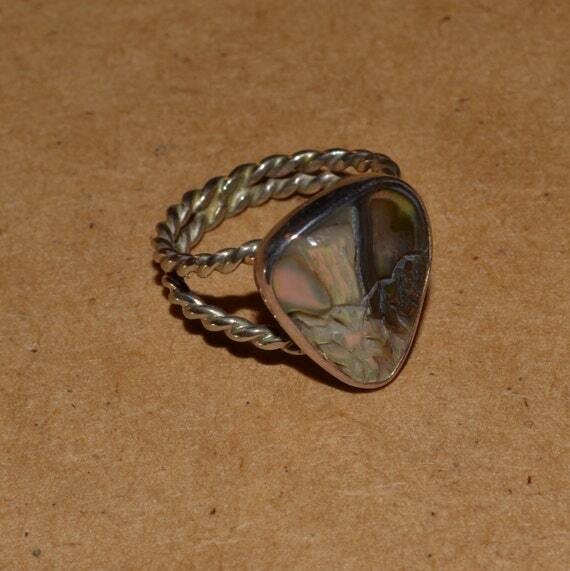 This beautiful twist wire ring from The Twist On Jewelry was handcrafted by Bo Fain from sterling silver, and decorated with a carved paua shell. Each piece is custom made for a perfect fit. 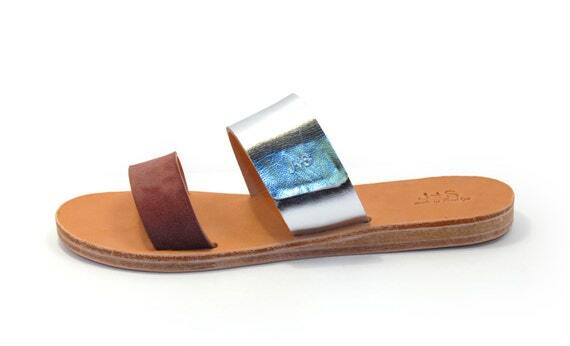 These elegant sandals from JS Sandals have a cork and leather sole. The straps are made from three layers of leather, with lambskin for the final, inner layer. 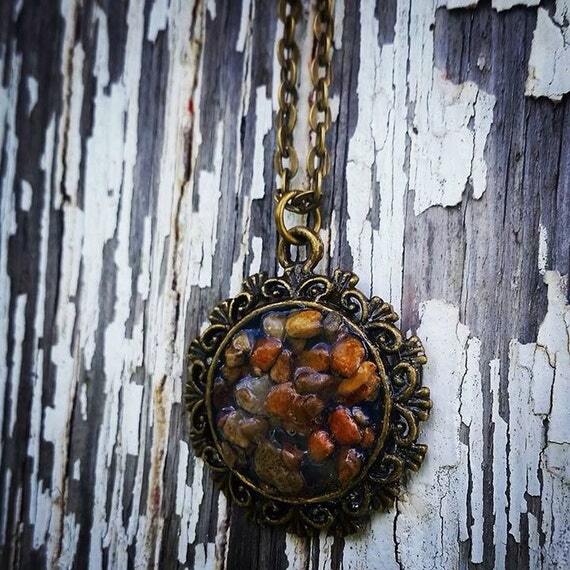 You can wear a little bit of Kentucky with this unique pendant from Stink "N" Cute was made using Appalachian Creek pebbles. The hardware and accompanying chain are antiqued bronze. 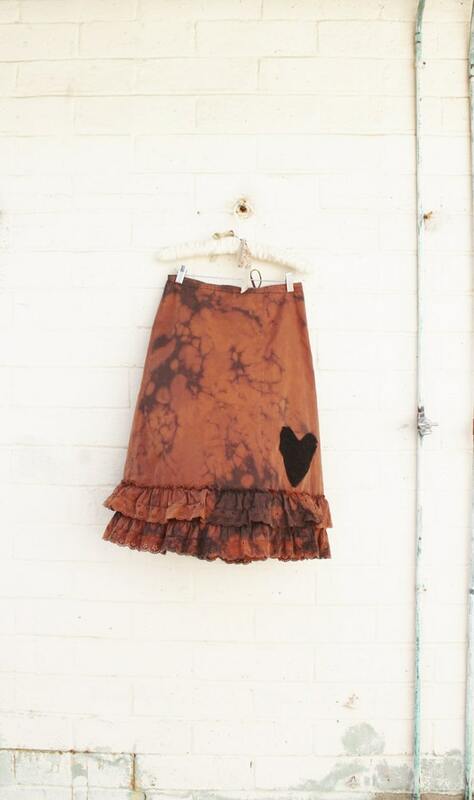 This up-cycled cotton petticoat skirt from Lucysroom has been hand dyed in chocolate and black using a marble technique. It also has a lace heart accent. 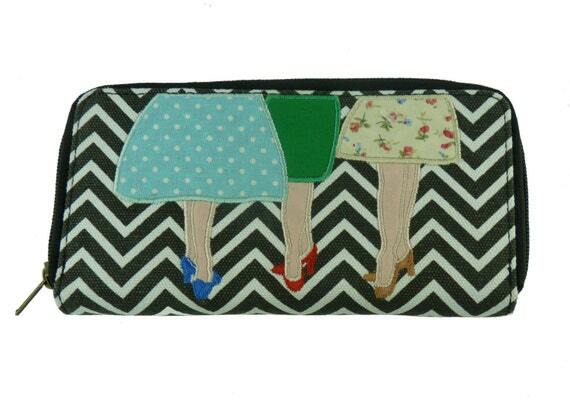 A cute applique decorates this handmade canvas wallet from Kate Gary. The inside is made of faux leather, and has tons of storage and little slots and compartments to keep everything organized.